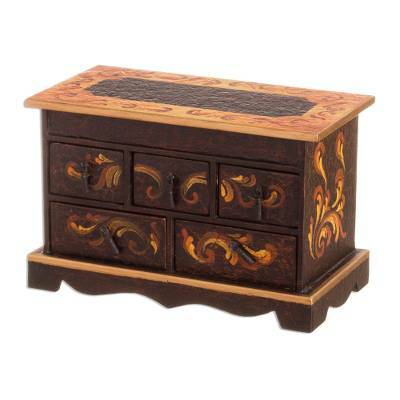 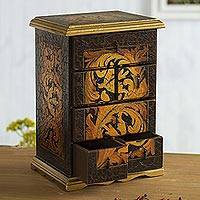 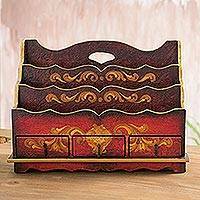 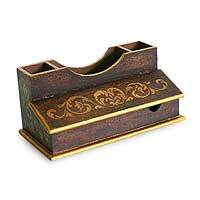 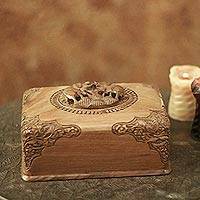 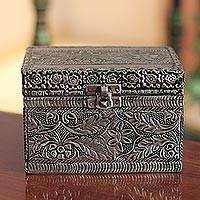 Carefully crafted and painted by hand, this beautiful chest of drawers organizes jewelry. 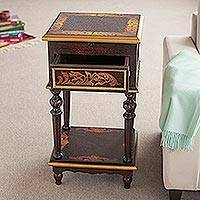 Gilt medallions recall colonial elegance. The chest features five drawers with wrought iron pulls, a mirror inside the lid, and an antique finish. 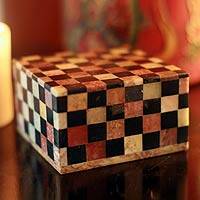 Artfully crafted by Antonio Rojas from Andes.